If you’ve ever been to Greece, then you are likely to have come across these tomato fritters. They make them on many of the islands, but they originate from Santorini. A thick batter of tomatoes, mint and flour is dropped into hot olive oil, fried crisp and then eaten with lemon wedges and cold dill yoghurt. Cut the tomatoes in half lengthways, scoop out and discard the seeds, then dice the flesh. If using baby tomatoes, cut them lengthways into quarters and leave the seeds in. Combine the tomato flesh, mint, oregano, flour, baking powder and salt in a medium bowl with 80ml of water and stir until a thick batter forms. Heat 5cm of oil in a wok or medium heavy-based saucepan over medium–high heat. When a piece of bread dropped into the oil sizzles quickly, the oil is ready. Using a lightly-oiled soup spoon, carefully drop large tablespoons of the batter into the oil—about 4 at a time—and cook them for 30–40 seconds on each side until golden and crisp. Drain on paper towel. 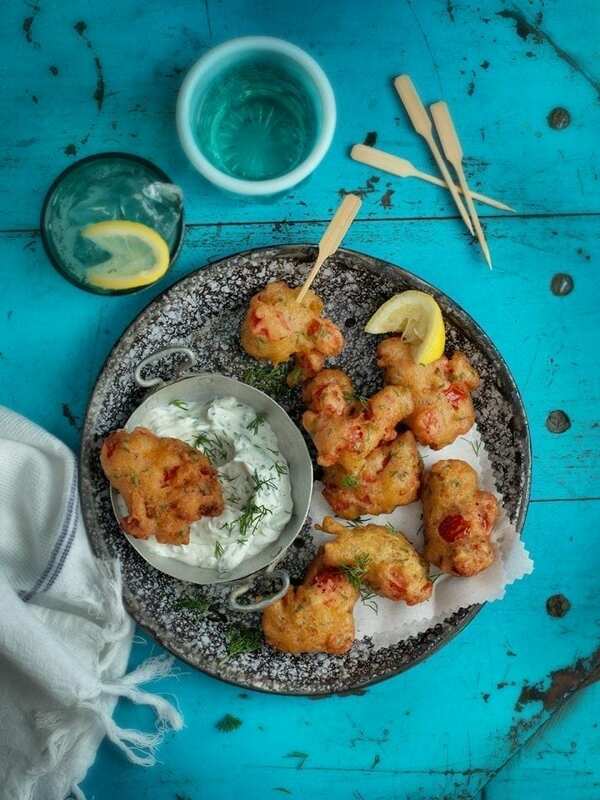 Combine the yoghurt and dill in a small bowl and serve with the hot fritters and lemon wedges. Baby plum tomatoes are best but you can also use large ripe ones if you remove the seeds. The tomatoes can be chopped, covered and refrigerated earlier on the day of making, but the batter needs to be mixed together just before frying.